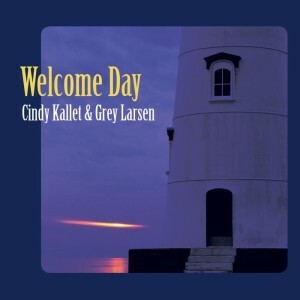 Welcome Day is my latest joyful collaboration with Grey Larsen. Please visit our newly revamped WEBSITE STORE to purchase this and many other recordings, books, song downloads and sheet music. 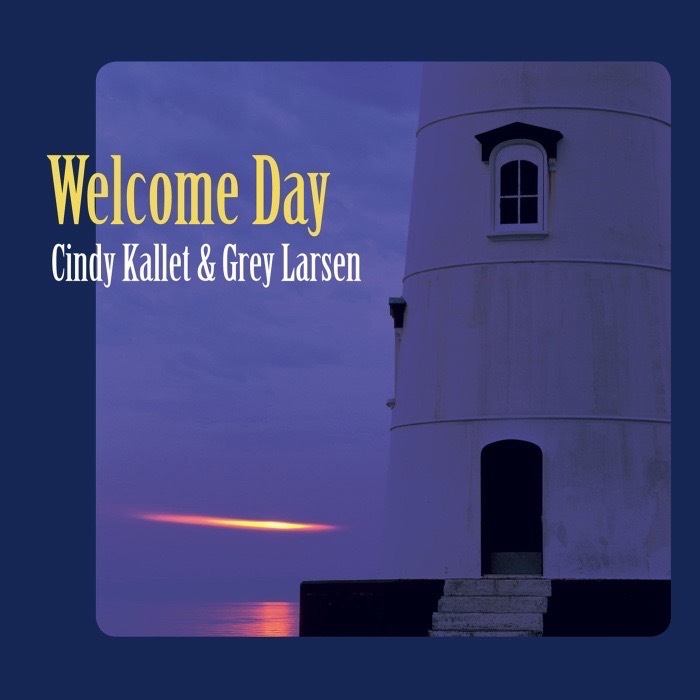 Cindy Kallet is a songwriter, singer and guitarist who has taught and performed extensively throughout North America in coffeehouses, concert halls, house concerts and music camps. She has also appeared on A Prairie Home Companion and WFMT’s Folkstage. Her first album, Working on Wings to Fly was voted one of the “Top 100 Folk Albums of the [last] Century“ by WUMB Boston radio listeners, and Kallet’s Leave the Cake in the Mailbox – Songs for Parents and Kids Growing Up was chosen for a 2004 Parents’ Choice Gold Award. She tours as a solo performer, as half of the duo, Cindy Kallet and Grey Larsen, and as a third of the trio, Kallet, Epstein and Cicone. Her love for the natural beauty of the New England coast has been the inspiration for many of her songs. Cindy has five solo albums to her credit: Working On Wings To Flyand Cindy Kallet 2 on Folk Legacy Records, and Dreaming Down A Quiet Line, This Way Home, and Leave the Cake in the Mailbox – Songs for Parents and Kids Growing Up, on the Stone’s Throw Music Label. She has also recorded three trio albums with Ellen Epstein and Michael Cicone: Angels in Daring, Only Human, and HeartWalk, as well as a collaborative collection, Neighbors, with Gordon Bok. In the past decade she has joined musical forces with Grey Larsen and they have recorded two albums together, Cross the Water and Welcome Day, as well as a techno-folk single, Back When We Were All Machines. In 2003, she assembled The Cindy Kallet Songbook – A Collection for Guitar and Voice. It contains words, music, chords, and guitar tab for 32 original songs. We have a newly revamped (and improved!) WEBSITE STORE. You can find physical and digital/downloadable CDs, books, song downloads, and sheet music. Many of the digital offerings are “name your price.” Check it out!